UPDATE: More accurate results can be found in this article. Nowadays it’s increasingly difficult to get any useful sales numbers on video games, in some part due to the fact that companies often don’t disclose how many digital copies were sold, and those are taking up an increasingly large portion of video game sales. VGChartz recently posted an estimated sales result for Gravity Rush 2’s first week on their website, but it’s fair to say that they don’t have the best reputation when it comes to being an accurate source for video game sales numbers. With no sources listed, there’s just no way to verify their information, and in the past they’ve shown to retroactively adjust their results when other sources post different sales numbers. Instead of simply going by their numbers, I’ve attempted the compile the information that we do have, and try to get an idea of how well the game performed. While Gravity Rush 2 was released at a relatively calm period for the video game market, it’s worth noting that Tales of Berseria, Yakuza 0 and Resident Evil 7 were released in the same time frame (end of January). These titles, all from Japanese development studios, have some overlap in terms of their audience, and I’ve seen more than a few people state that they had to decide which of these games to buy. In addition, the fact that SIE Japan Studio’s The Last Guardian received a considerable price drop not long after its release didn’t help either, as it led people to hold out on buying Gravity Rush 2, in the assumption that Sony is going to cut its price soon anyway. Below, you can find the information I compiled from various sources regarding Gravity Rush 2‘s performance in the sales charts. Towards the end, I also attempt to determine the minimum amount of copies that the game sold. In Japan, the latest results from Media Create and Famitsu put Gravity Rush 2 (Gravity Daze 2) at a little over 100k in Japan. It’s a result comparable to that of The Last Guardian, and while it falls short of the results from the bigger franchises, even those are having difficulty selling over 500k in the current console and handheld market in Japan. It’s also the only market where the game managed to take the top spot in its first week on sale. The impressive commercial, which is currently the 5th most viewed video on the PlayStation Japan YouTube channel, no doubt helped achieve that result. In the US, there’s no sign of Gravity Rush 2 in the latest NPD charts for January 2017. However, something that does stand out on closer inspection is the fact that Tales of Berseria apparently outsold Gravity Rush 2, as it’s listed as #9 in the PS4 charts, where Gravity Rush 2 is absent. It’s not the result I expected, even more so because Tales of Berseria was released after Gravity Rush 2, so it had less time on the market in January. On the PlayStation Store, Gravity Rush 2 also can’t be found in the digital downloads top 20 for January (although the same can be said about Tales of Berseria and Yakuza 0). In the UK, the game opened at #16 in the all-format sales game charts in the first week, and already dropped out of the top 40 in its second week. It’s hard to argue that this isn’t a disappointing result. UK PlayStation Twitter account’s frequent tweets to promote the game, to the point of annoying its followers, appear to have failed to convince people to buy the game. That said, there’s more positive news from France, where the game reached #5 in the all-formats sales in its first week. I imagine the French influences in the game peeked the interest of gaming media and fans there. But sadly that also seems the only good result in Europe. In Germany, the game didn’t make the top 20 all-format chart for January. In Switzerland, the game wasn’t listed in the top 10 for the week when it was released, although the list is incomplete. In Australia, the game took the last spot in the top 10 for the week ending 22 January 2017, but didn’t manage to do the same in New Zealand. In Spain, the game didn’t make the PS4 top 10 chart in January. In fact, The Last Guardian managed to take 10th place there instead, helped by its price cut. As for digital sales, Gravity Rush 2 didn’t fare better on the EU PlayStation Store. Like in the US, the game didn’t make it in the top 20. That said, we don’t know how well it did for games at full price. But perhaps one on the best indications of total sales numbers can be found in the game itself: the Dusty Tokens ranking. This worldwide ranking shows us all the people that have collected an in-game currency called Dusty Tokens, which can only be earned via the game’s online functionality. At the time of writing, the list shows a total of 135,095 people. In addition, the games trophies list also tell us that 20% of the people who played the game didn’t complete the Banga chapter, and the online functionality only becomes available afterwards. So that means they also didn’t earn any Dusty Tokens. Knowing that, we can further extrapolate that at least 168,868 people own the game at the moment. The actual number has to be higher. It’s also worth noting that at the end of January, the Dusty Tokens ranking had between 80,000 and 90,000 people listed. Now, almost a month later, another 50,000 users have been added to the ranking. It’ll be interesting to see if this trend is continued in the near future. Unfortunately, outside of Japan and to some extent France, Gravity Rush 2‘s release has been largely ignored. While it didn’t seem like a sequel was in the cards anytime soon, regardless of how well it sold, sales are still an major factor in determining the future of the franchise. However, perhaps all is not lost. With the free Raven DLC releasing in March, it may help boost the game’s sales again. An eventual discount on the PlayStation Store is likely also going to convince more people to give the game a try. And if there’s anything that we can be certain of, it’s that the Gravity Rush franchise has a small but loyal fanbase that can help spread the word on the game. Gravity Rush 2 may not have reached the audience it deserves at launch, but it’s too early to conclude that it’s a commercial failure. I’ll probably be making a follow-up article after the DLC has been released to see how the situation has developed. For now, thanks for reading this article, I hope it provided some useful information! While the promotion/marketing of the game is considerably weaker outside of Japan from Sony and Western gamers thinking its an another anime game its up to the strong fanbase to make up for it. But i have a feeling we may yet to see Kat and Raven again in PS5. I hope so. Given how the game ended, I’m not sure if they would continue with the current cast, even if they would work on a sequel. But I feel like it would be too soon to give up on these characters, especially Kat and Raven. don’t worry they know if kat and raven are Not in next game it will fail big time. 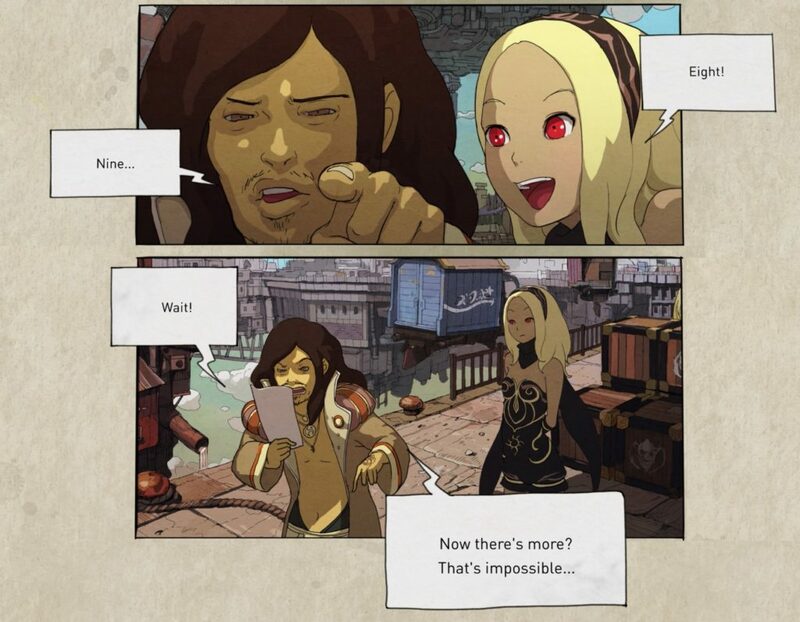 like what other uses have said Kat and Raven are faces of Gravity Rush there is no way they would get rid of them unless they want to kill the next sequel and also they left so much questions unanswered. I can only speak for myself; because of good games from the end of 2016 and 2017 starting with Yakuza 0, Horizon Zero Dawn and NieR: Automata, I got completely distracted since the last two turned out to be game of the year contenders. I regret picking up GR2 late in summer, even though I absolutely adore both games and do hope we’re going to see GR3 after that emotional ending.